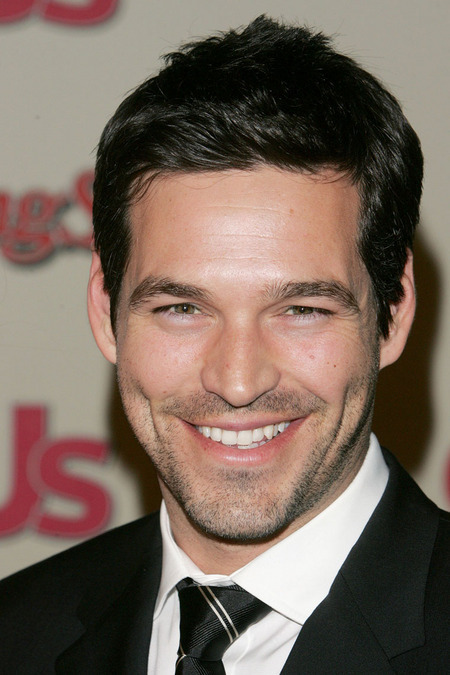 Eddie Cibrian is the handsome actor with dimples like Mario Lopez. The California native is a Cuban American best known for playing Russel Varon in Invasion and Jimmy Doherty on Third Watch. He's pretty much a C-lister, a good looking C-lister, but he has a long way to go in his career. Cibrian separated with wife eight years, Brandi Glanville, in the summer of 2009. Eddie cheated on Brandi with LeAnn Rimes. DOWNGRADE! Eddie Cibrian is very handsome and he knows it. He's an alleged cheater and he's also the father of two young boys. Priorities, people! 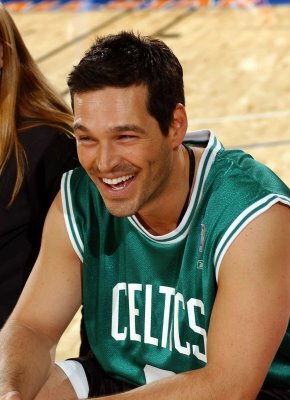 Eddie Cibrian is seen wearing a smile and a Celtics jersey. Was this for a movie or is he just a big Boston fan? Eddie Cibrian usually looks white, but he looks very Cuban here. 'Cuban' as in ethnic. 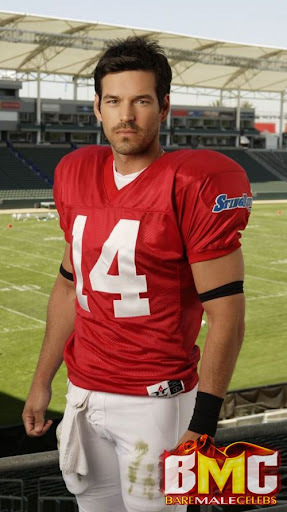 Eddie Cibrian is gorgeous, if only he were faithful. Brandi Glanville was a stunning bride, wasn't she! Just look at her hair and her dress! And Eddie Cibrian looks like he couldn't be happier.